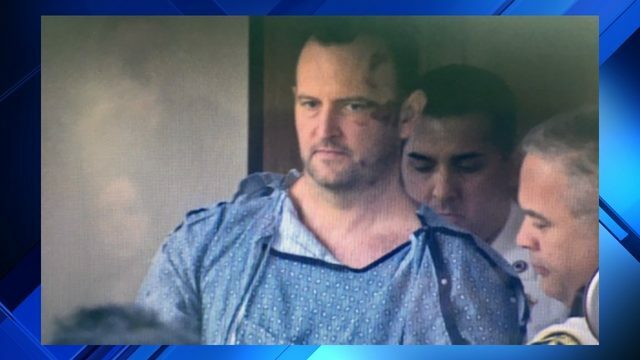 WEST BLOOMFIELD TOWNSHIP, Mich. - It was an intense night in West Bloomfield Township as police officers and Oakland County Sheriff's deputies launched a manhunt in a quiet neighborhood. They were looking for a suspect involved in a smash-and-grab jewelry robbery at the Costco in Commerce Township. The original 911 callers thought there was a shooting in the store. "It was thieves breaking glass, but to the people in the store it sounded like gunfire," said Sheriff Michael Bouchard. Bouchard said he was on the way to the robbery when he drove right past West Bloomfield police chasing the suspect's vehicle. They were after the getaway car. The suspect ended up crashing the vehicle near Inkster and Maple roads, about 7 miles from the Costco. One person was arrested at the crash scene while another got away on foot. That prompted the manhunt. A helicopter was launched with heat-sensing equipment. The suspect was found a few hours into the search. There have been other recent smash-and-grab robberies at Somerset Collection in Troy, at Southland Mall and in Royal Oak.